To our young readers/dog lovers, we have two rounds of Paws to Read coming up. That’s right! We’re doubling up the pup! First, we have a pair of sessions on Wednesday, April 17, at our Main Branch. The first begins at 6:30 p.m., the second at 7 p.m. 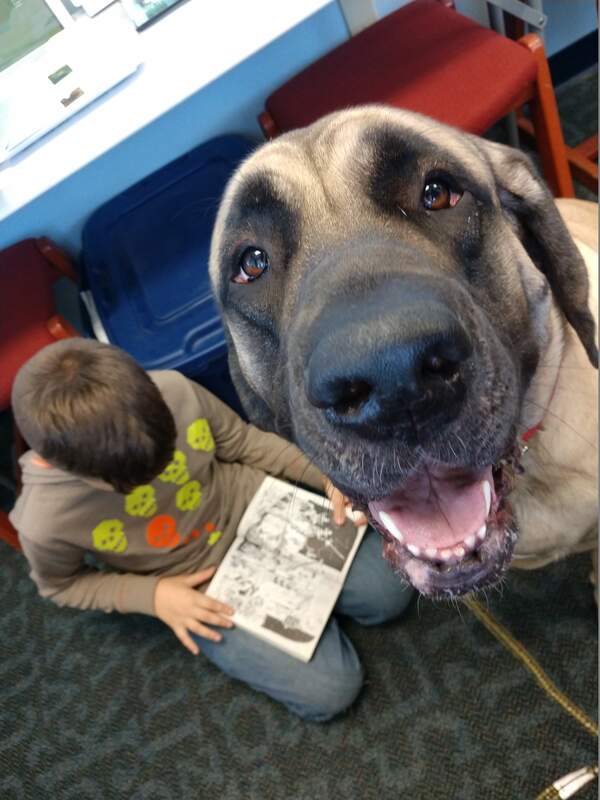 The pups from our Paws to Read program will visit our Headlands Branch on Saturday, May 4. There will be two sessions: one beginning at 1:30 p.m., another at 2 p.m.